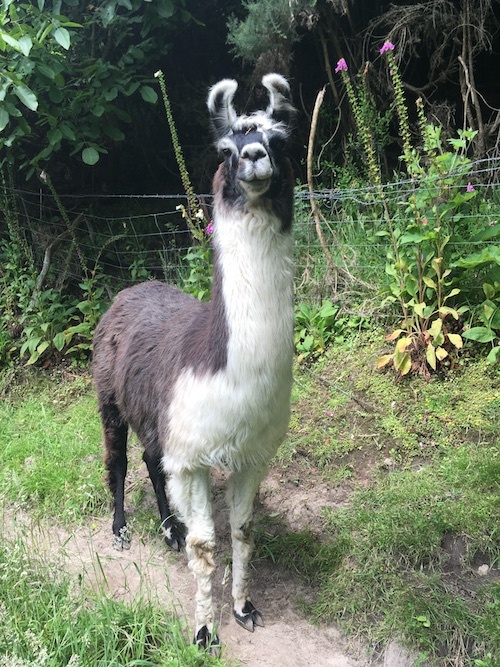 Is your llama hybridised with alpaca? Black and white. Very gentle nature. Gets on well with all the other llamas. Good mother, has had two cria.